Did you know that 74% of people identify word-of-mouth as a key influencer in their purchasing decision? 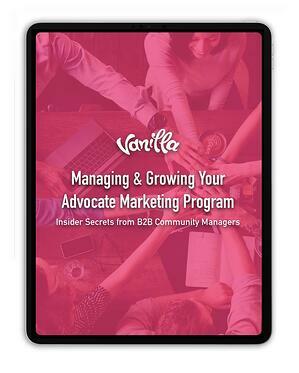 In collaboration with Robyn Jordan, former Community Manager at New Relic, this guide provides marketers with a plan to build and manage a successful advocate marketing program. Think of it as a roadmap to help you through the process of planning and launching your own advocate marketing program.